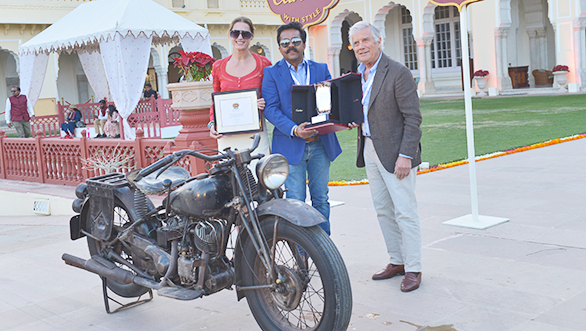 The sixth Cartier Concours d'Elegance was held in February at the Rambagh Palace, once at the private resident of the erstwhile Royal Family of Jaipur and now at one of the world's best luxury heritage hotels operated by the Taj Group. 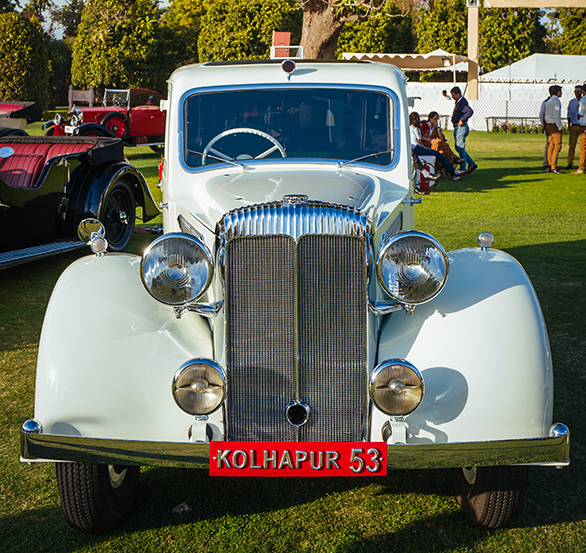 The event had 86 of the finest vintage and classic cars from nine distinctive classes and 26 motorcycles from three classes, gracing the well-kept lawns of Rambagh. 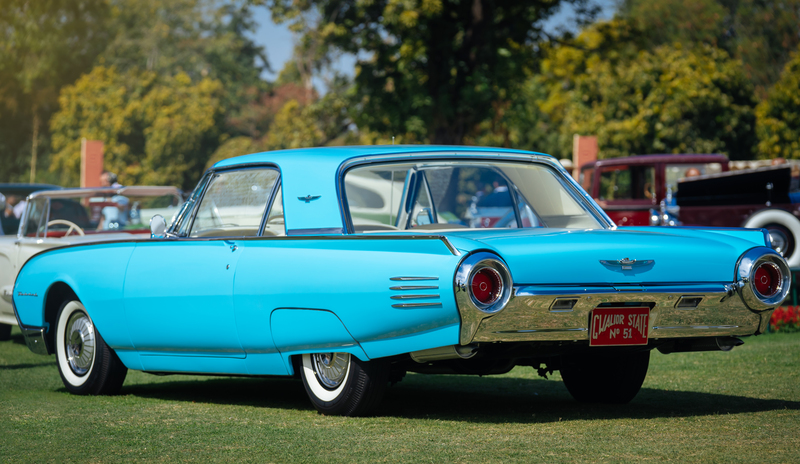 The three new automotive categories were 'Ford Thunderbird', 'Sports Cars', and the 'Pre-War Classics Transportation'. 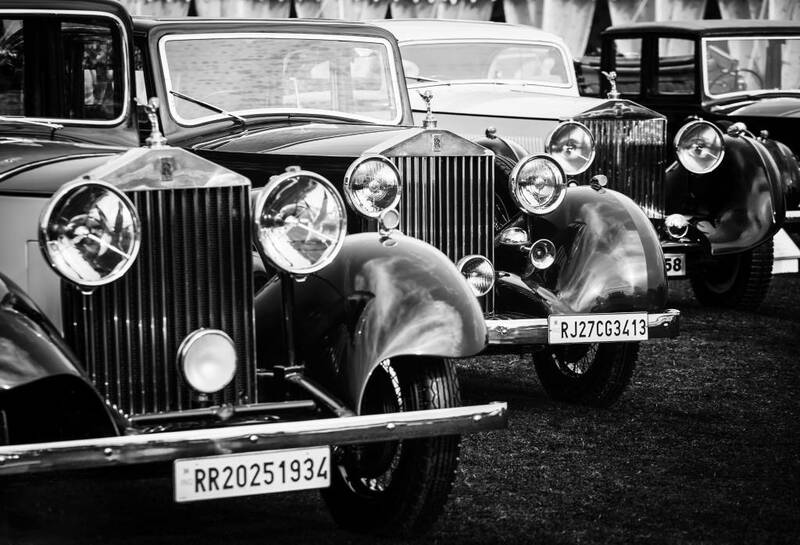 The first Cartier Concourse was held in Mumbai in 2008 and since then, the entire classic car movement in our country has been so invigorated, that many world-renowned shows like Pebble Beach (USA) and Salon Retro Mobile (France) have also started featuring categories for cars originally sold to Indian owners. 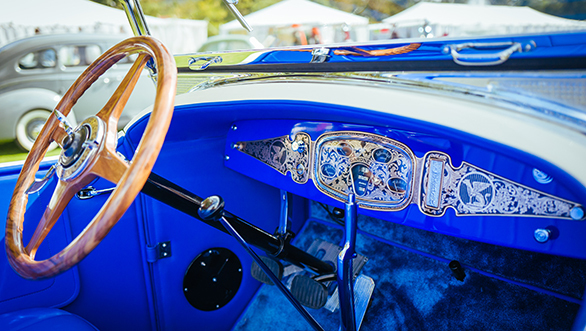 The movement is witnessing colossal change and more cars are being collected, with the Cartier Concours d'Elegance contributing in a big way in raising awareness and vehicle restoration standards. As always, the Cartier show was judged by some leading international automobile experts like Simon Kidston, Sandra Button, chairman of Pebble Beach, HRH Prince Michael of Kent, Charles Richmond (Duke of Richmond and Gordon), Giacomo Agostini, Lorenzo Ramaciotti, Nicholas Coleridge, William E. (Chip) Connor, Sir Michael Kadoorie, David McKirdy, Gordon Murray, Patrick Mark, Mark Stewart, Stefano Domenicali, CEO of Automobili Lamborghini, Peter Stevens, Yasmin Le Bon and Jean Todt. And like all earlier editions, Alain de Cadanet was the MC (Master of Ceremonies) and enthralled everyone with his insightful commentary. The 'Best of Show' car was the 1935 Rolls-Royce Phantom II Continental Streamline Coupe owned by Amir Ali Jetha. This is one of the most stunning looking Rolls-Royces ever and the last Phantom II Continental built. This car was also a prize winner at Pebble Beach last year. 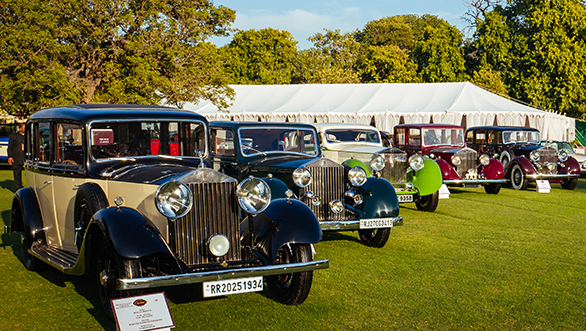 Residents of Rajasthan were particularly interested in the cars used by the late Rajmata Gayatri Devi of Jaipur. She was very fond of cars and at a time when most of the royal ladies were still being chauffeured in dark 'purdah' glass limousines, Gayatri Devi was seen driving around not only abroad but in the conservative Jaipur as well. Ex-Gayatri Devi cars on display included a 1968 Mercedes-Benz 280S (owner Sudhir Kasliwal), which is the last car she drove till the age of 75. In the 1962 and 1967 election campaigns, when Gayatri Devi set a Guinness record for a landslide victory by the largest margin, she used a 1947 Super 8 Buick Convertible that is now owned by Dinesh Lal. 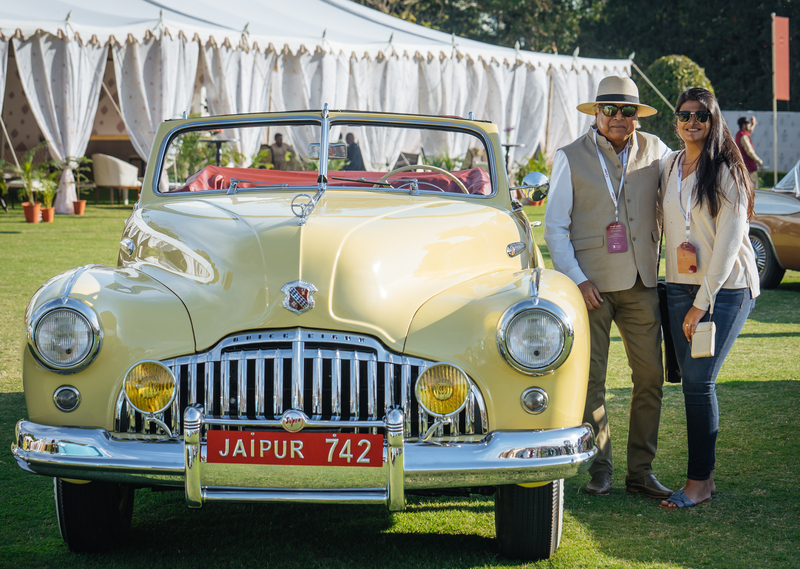 Another ex-Gayatri Devi car, now owned by Vikram Singh is the 1951 Cadillac Series 62 Convertible. 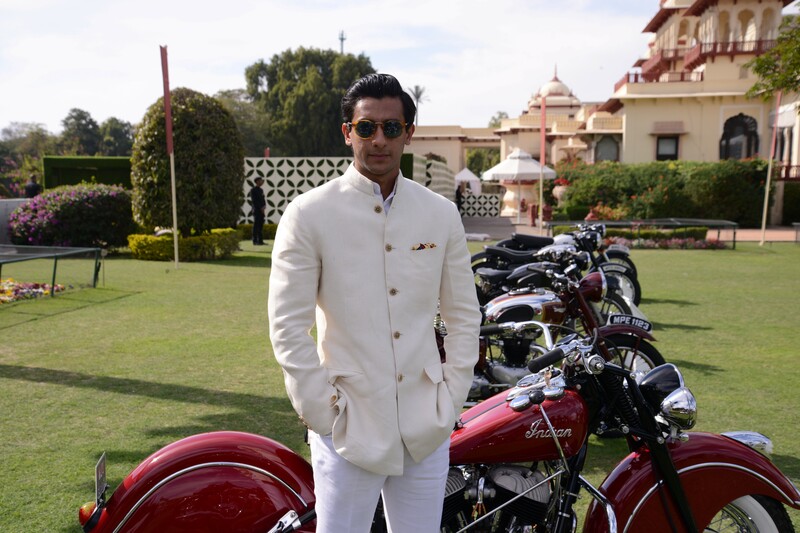 The young Maharaja Sawai Padmanabh Singh of Jaipur, also showed a 1960 Ford Thunderbird Convertible, which he currently owns. There were so many other remarkable cars that writing about all of them would fill an entire book. But there are a few that I must mention. 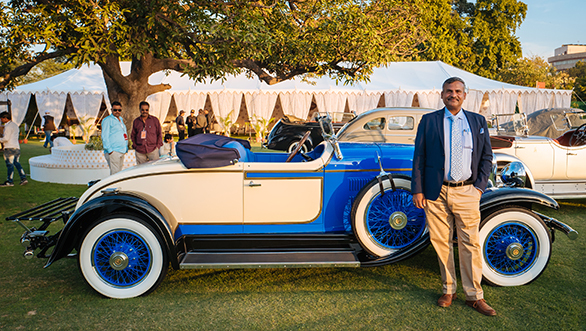 For one, the Daimler, owned by Ravi Pittie and restored by Nekzad and Kaizad Engineer. It originally belonged to Princess Shrimati Indumati Raje of Kolhapur. Apparently she was married as a child and widowed at the age of 13. As per tradition, Hindu widows are only permitted to wear white for the rest of their lives, so she got a Daimler with pearl white exterior paint, white wheels, white steering, white brake drums and even a white engine block and chassis! The interior carpet is also white. This seven-seater limousine body style purdah car was used by her till her death sometime in the 1970s. Her insignia on the car says "Such is life". 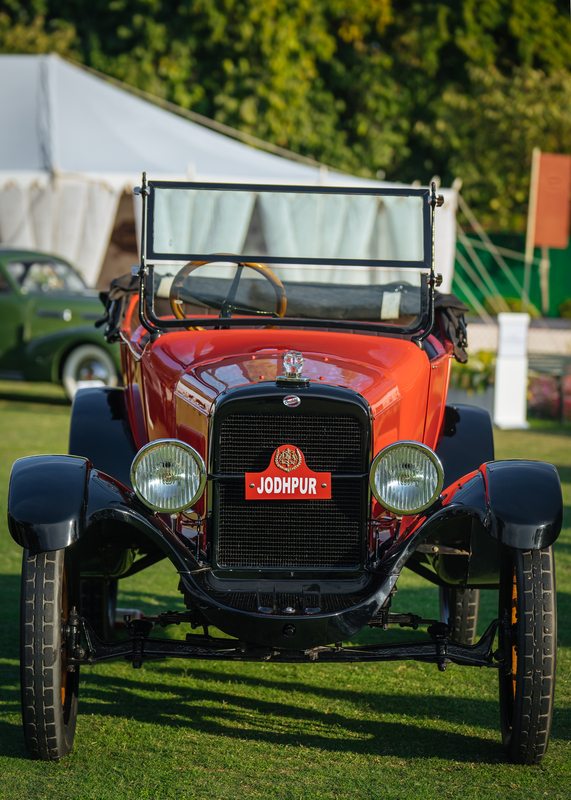 Other outstanding cars were  the rare and good-looking 1928 Gardner Model 85 Roadster of Madan Mohan with an incredibly detailed dash; 1921 Fiat 501S Corsa once owned by the Maharaja of Patiala and now with Amal Tanna; 1930 Stutz Model M of Diljeet Titus; 1947 Cadillac Series 62 Sedan of H.H The Maharaja of Jodhpur Gaj Singhji; the 1947 Chevrolet Fleetmaster Cabriolet found preserved in a garage by Kaizad Engineer; 1906 Renault 8HP owned by Shrivardhan Kanoria; Kunwar Pankaj Singh of Jhalamand's 1938 Skoda Popular Cabriolet; 1955 Ford Thunderbird of Vidita Singh  it's actually an unending list. This all-white Daimler even has a white engine block and chassis! 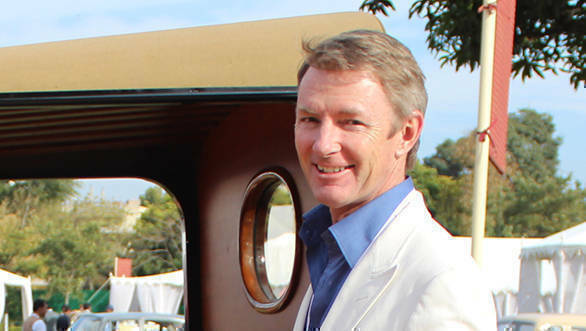 Chief Judge Simon Kidston is the nephew of 1920's 'Bentley Boy' Commander Glen Kidston. Simon, a well-known automotive columnist and historic car consultant is also about to publish a book on the Lamborghini Miura. 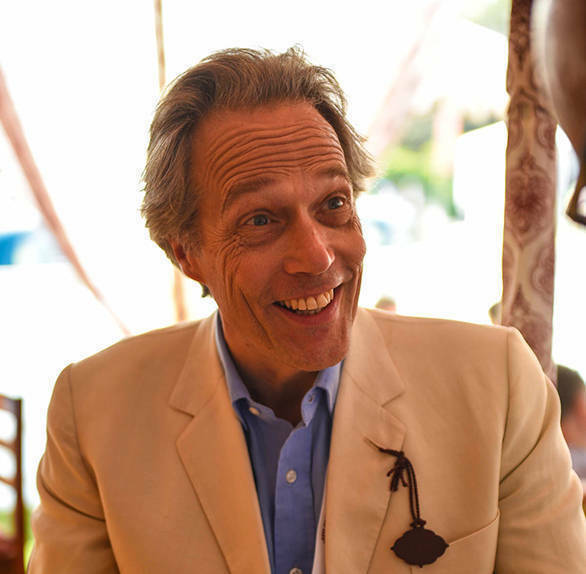 He is a judge at Pebble Beach and is the multilingual commentator of the Mille Miglia and the Concorso d'Eleganza Villa d'Este. He is currently filming a new motoring series for US television too. "I love coming to India, it's so colourful and buzzing with excitement. The Rambagh Place where we are staying in this historical city of Jaipur is wonderful and it's a truly grand setting for viewing and judging classic cars. It does not get better than this. India is also special for the global classic car movement because there are so many things unique to your country. In my opinion, your maharajas were the first real car collectors, simply because they bought a lot, and never sold anything (at least not until well after India's Independence). So unlike the west, you have many single owner cars here. 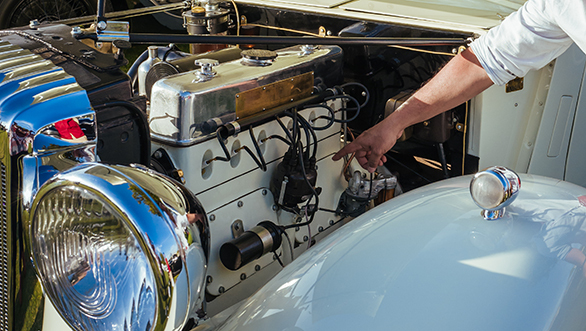 Car collecting in the western world only started sometime in the 1950s, with cars constantly changing hands. They are restored over and over again, some up to ten times! Every new owner has things added or changed and you keep seeing them at shows anytime something new has been done. In India even if cars get sold, it's not happening that often. The same is the case with restoration; you don't see cars that have been done more than once or maybe twice. I have been coming here for the Cartier events ever since 2008, and have witnessed a great change and remarkable improvement in the restoration quality. In fact it's now almost world-class and in some cases as good as you can get anywhere. The thing that pleases me most though is that many of the owners either restore the cars themselves, or are very closely involved with the entire process  be it the research, sourcing of parts, etc. In the west, most people simply write a cheque and someone comes and picks up the car and returns it after few years in a fully restored condition. The other thing is that there are so many young people involved in the movement in India. They also use modern tools like the internet and social media to find information and parts. But you have to be careful and have the good sense to only utilise what is authentic, and your chaps seem to do it fairly well. When I judge cars, the number of cylinders, horsepower, etc, is not at all important. Cars are designed and made by someone, bought by someone, driven and used by someone; this is the human and emotional side to these machines. It is this emotion I look for, and you in India, have lots of interesting stories associated with many of your cars." 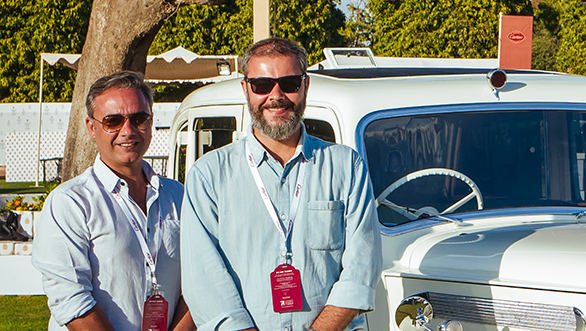 Is an award-winning documentary film-maker and has produced promotional films about works of art, including cars such as the Bugatti Royale and Ferrari 330 GTO. 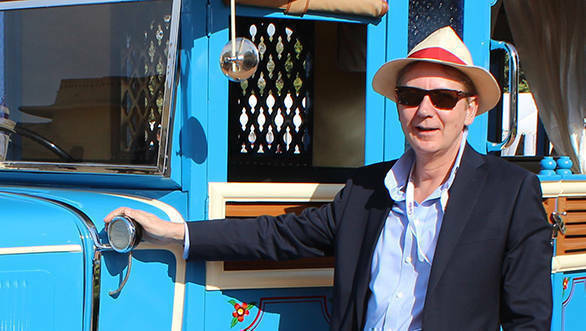 Patrick has also made documentaries like 'The Maharajas' Motor Car' (BBC) and a biographical film about fellow Cartier Judge, Professor Gordon Murray (also BBC). Patrick is also a long-serving trustee of the late Mark Shand's Elephant Family charity. "I have been coming here since my friend the late Mark Shand, one of the founders who conceptualised this event, invited me. It's something I eagerly look forward to. The heritage, culture and history of India and all your lovely art, architecture and automobiles, excite me. The transportation class this year is particularly interesting and intriguing. If I am not mistaken, in some parts of rural India, bullock carts and horse-drawn carriages are still used as transport today. So seeing these early modes of mechanised Indian transport is very delightful. The moment I saw the 1933 Blue Chevrolet bus (owned by Diljeet Titus), I could imagine Mark Shand saying it was his kind of vehicle. 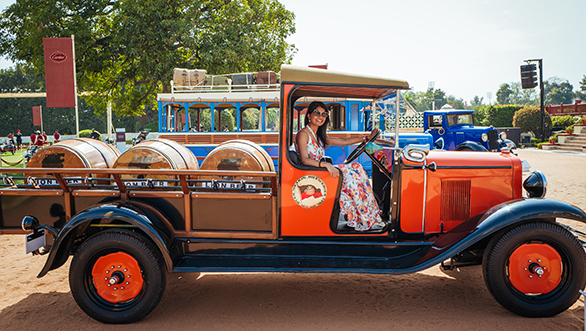 With all those tin trunks, period luggage, paintings on the inside with lovely Indian women in traditional dress, the chain pull bell to draw the attention of the driver, it embodies the exploratory spirit of Mark. All of it would make Mark want to get in it and go to the Kumbh Mela and do a road trip of India right away. Bob, you know Mark who was your friend too, wrote that lovely book 'Travels on My Elephant'. I think if he had seen this bus, he would well have gone on another journey and written 'Travels in my Blue Bus'. Yes, it is Mark's kind of vehicle alright, complete with a tea making kit. Mark loved Indian chai you know." (Duke of Richmond and Gordon) -Is the founder of the widely acclaimed Goodwood Festival of Speed and the Goodwood Revival. Both events are now amongst the most exciting and creative events in the world. Charles Richmond is president of the British Automobile Racing Club and patron of the TT Riders Association. "I have been to this event a couple of times, and in just these few years, I have seen such an improvement in the standards of restoration. 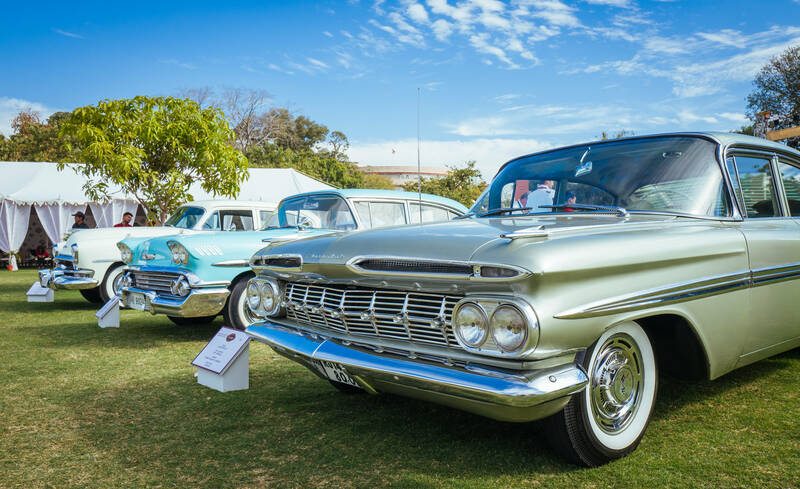 People are careful to retain the originality, colours, upholstery style and fabrics and materials, and of course take pride in the history of their cars. But what is truly amazing is the speed at which the cars are restored. Here in India, you are able to fully restore a car in about six months. To do something similar in England would take four to five years! Of course you have more workers and as the labour cost is still not that high, you can afford to employ lots more of them. But I think it's your passion, commitment and drive, which are delivering such impressive results in restoration"
Joined Pininfarina in 1973 and was Head of Design from 1998 to 2005. 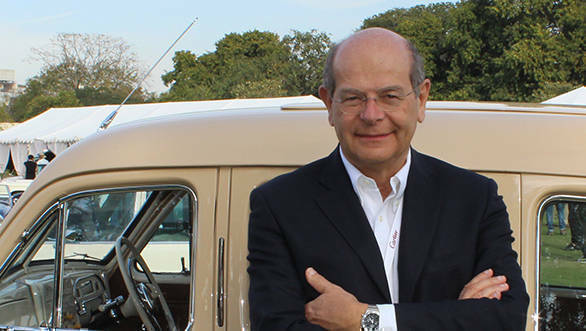 He has worked on projects for many automotive manufacturers and in 2007 became Vice President Style of Fiat Group Automobiles and from 2011 until he retired in 2016, was Head of Global Design of Fiat Chrysler Automobiles. He has authored several books including "La Fiat 500" (2007), "Alfa Romeo" (2010) and "Maserati  A Century of History" (2014). It's my first time at this event, but I have been to Rajasthan and India before and love it. Bob I even came to your home in Mumbai in 2006 and you gave me one of your books. The cars here are very interesting, they have so much history. Personally I am happy to see some Italian cars like the Alfa Romeo's and Fiat's. Of course I know Premier Automobiles also used to make Fiat's in India. Obviously with the India and Britain connection, there are more English cars here .And after WWII, I think; you had more American cars coming to India because of their reliability and popularity. Italian cars were always great looking and fun to drive, but not always reliable. Despite this, I can see some did make it to India and I am very happy that you are looking after them and collecting them. Since the last few editions, the Cartier Concourse D'Elegance has been having a special thematic class and this time it was the 'Transportation Class'. 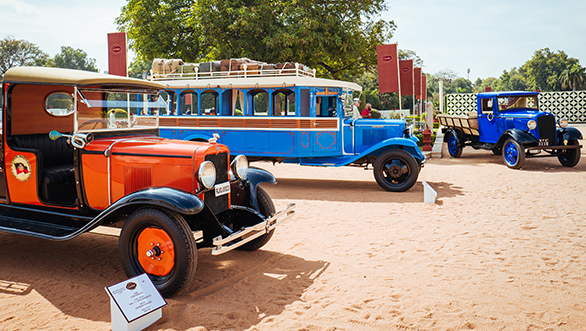 Manvendra Singh Barwani, acclaimed auto historian, restorer and curator of this event, says, "For many centuries, we in India used bullock carts and horse carriages for transport. After the motor car became more accessible to Indians, our local craftsmen started building bodies on them and became our very own desi coach builders. In the initial period, the most preferred body style was inspired by 'bailagaadees' (bullock carts). 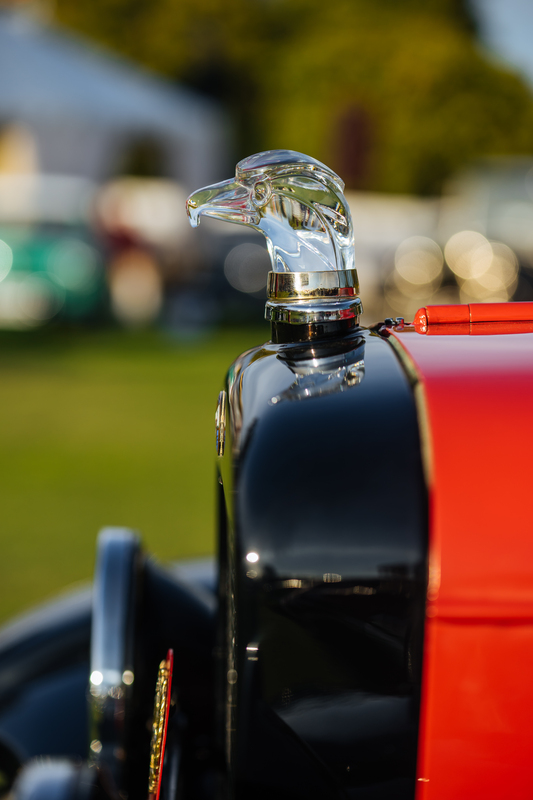 This kind of body was built mainly in the 1920s up to the mid-1930s, before our local coach builders got influenced too and moved to American and European style bodies. My reason for introducing this new 'Transportation Class' is that if these commercial vehicles are not showcased and protected now, they will be junked and scrapped, just like so many others. These vehicles are unique to India and are part of our motoring culture. While the vehicles themselves may not be fancy or luxurious, they were once an integral part of our society and helped move both goods and people across the length and breadth of our vast country. I hope just like the 'Indian Heritage Class' which I introduced some years back for vehicles made in India post Independence, the ''Transportation Class' also helps save these machines by making them collectibles. 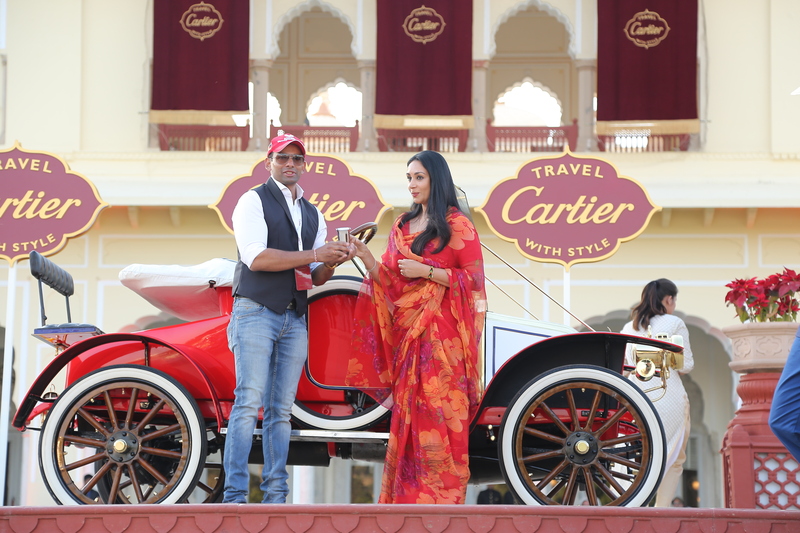 We need to be proud of our own motoring heritage and the fact that there are so many automotive things exclusive to India, is what makes the Cartier Concourse, different from all other such international events." 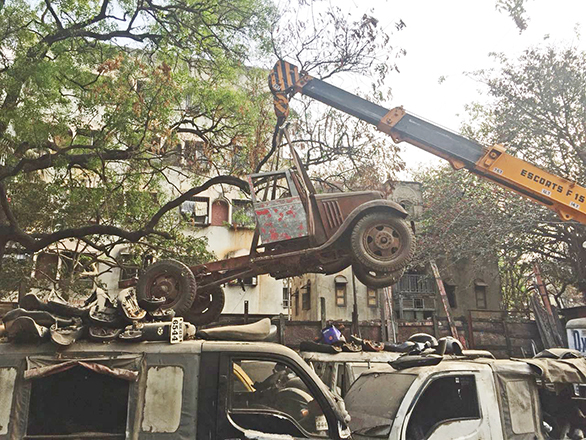 When Kaizad found this truck he had to life it out of a scrapyard with a crane! There were a total of six vehicles in this class which was won by the 1934 Chevrolet 1½ ton Series PA Truck owned by Kaizad Engineer. Originally used as a water tanker with the Fire Department of the Mandsaur Municipal Corporation, the truck spent its later years as a water carrier and tender to the green turf of the Race Course in Pune city. When it was discarded is not known. In 2018, Kaizad Engineer came across it lying in a scrapyard that had developed around it. The only way to get it out was to hoist it out with a crane. Remnants of the crude water pumping assembly survived, but the entire body apart from the driver's cabin was missing. The chassis and wheels were there as was the engine, but many components were missing from it too. Kaizad brought it to Nicki Garage, his family-owned workshop in Mumbai, and in a record time of just six months, he and his brother Nekzad rebuilt it to near original condition, just in time to participate in the Cartier Concourse. A wooden pickup bed was also added to carry passengers, as Kaizad and family have no turf to water! Another very fascinating vehicle which Judge Patrick Mark has commented about in this story, is the 1933 Chevrolet 1 ½ ton Series M owned by Diljeet Titus. This special bus was made for the Kolhapur Princely State Garages. 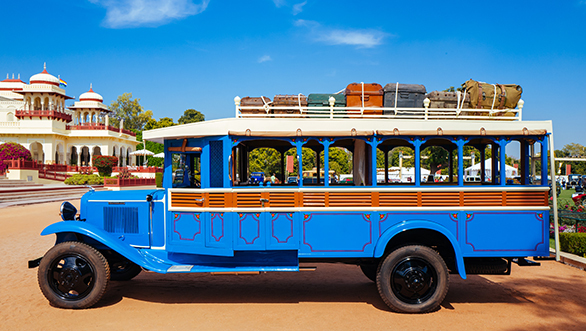 Built on a 1933 Chevrolet commercial chassis, this bus has a wooden body that was made locally, with open windows, and ventilation slats - a necessity for the year-round warm climate in the Kolhapur region. An uncommon feature in this bus is that it has a divided compartment for men and women. It was apparently used to ferry the staff of the erstwhile Kolhapur Royal Family on long journeys. 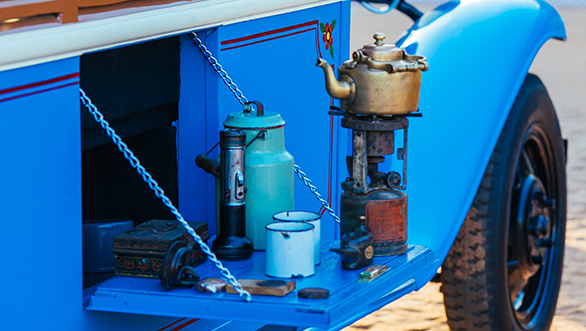 It also has a concealed compartment that holds a stove and utensils to make tea and refreshments. Diljeet Titus has had it restored very well, but some of the judges felt the tea set with strainers in different sizes, etc, was just too elaborate to have actually been the one used by the driver and staff. Sukhwant Singh's 1940 Ford bus evoked very mixed feelings too. Originally owned by the Thakur Sahib of Bori in Central India, it was used by his wife who hailed from Udaipur. 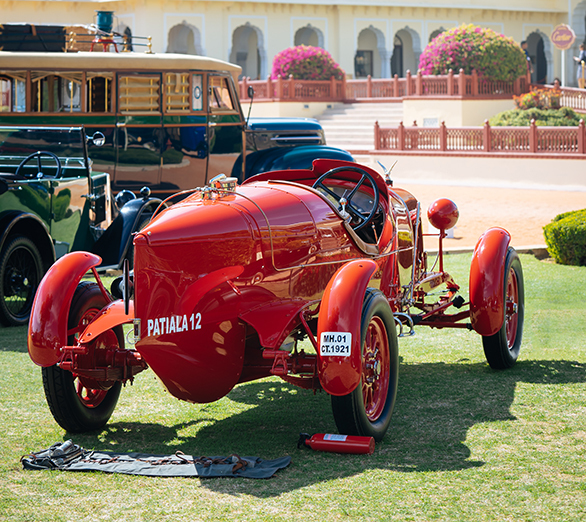 Though it is said to have been in fairly decent condition when Sukhwant got it, he had it fully restored recently, and it is what one could describe as a case of over-the top-restoration, where the present vehicle is possibly far better than the original ever was. 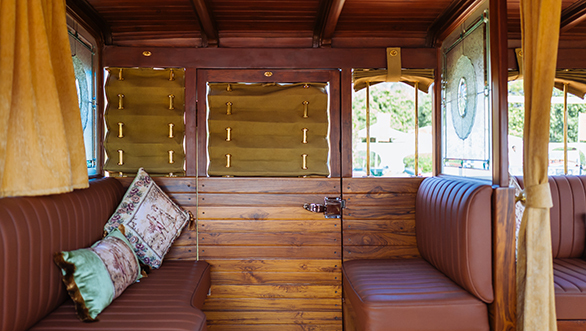 The entire interior, including the doors have polished wood panelling, cushy sofa style seats, highly embellished stained glass, brass fittings everywhere, side tables and even a wooden walking cane with an elaborate brass handle! This bus is stunning to say the least and a great example of travelling and arriving in style. But some of the judges were not convinced that a bus as ornamental, regal and luxurious as this was really ever made back then. 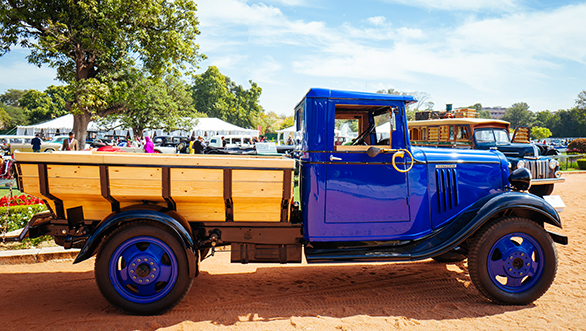 One of my favourites is the 1930 Chevrolet 1 1/2 ton Series LS Truck owned by Sharad Sanghi. India is a hot country and the British soldiers posted in the cantonments on the plains then, needed some cold brew to wash down the dust. But as India did not have refrigeration facilities in those days, beer was made in the lower Himalayas in cool places like Nainital, Shimla and Mussoorie and was shipped by such trucks to the cantonments. This particular truck was used by the Dyer Meakin brewery (now Mohan Meakin) which was Asia's first brewery incorporated in 1855. Their Lion brand beer was made in Kasauli (now famous for the Khushwant Singh Literary Festival) and was transported down in this truck. Cheers.